You are at:Home»Study Materials»Case Analysis»Justice well served: Bombay High Court vindicates a woman of insinuating allegations on her character! Justice well served: Bombay High Court vindicates a woman of insinuating allegations on her character! – A LAUDABLE VERDICT ON THE EVE OF WOMEN’S DAY! Bombay High Court directed Registrar to file a case against accused husband for filing false affidavit in anticipatory bail; exercises Sec. 340 of CrPC in ABA. The case addresses the grave issue of torture and harassment; this time of the daughter of renowned Mumbai businessman Mr. Fareed Qureshi. Adv. Nilesh Ojha appeared for the complainant wife (daughter of Mr. Fareed Qureshi) and Adv. Satish Maneshinde appeared for the accused husband. Mr. Fareed Qureshi had performed the wedding of his daughter in an extravagant ceremony at Bandra Kurla Complex, Mumbai in November 2016. The wedding was a lavish affair wherein the stage erected for the bride and bridegroom itself cost around Rs. 1.5 crores. The wedding was attended by more than 10,000 guests which included who’s who from politics, film industry and business community. The father of the bride, Mr. Fareed Qureshi had gifted a Mercedes car to his son-in-law, along with cash of around Rs. 2 crores, gold weighing around 10 kg and one flat. In addition to this, he had also gifted Nissan Micro cars to the close relatives of his son-in-law. The total expenditure for this pompous wedding was around Rs. 13 crores. Barely within few months of marriage, the son-in-law (accused) and his family members started harassing the complainant wife (Mr. Qureshi’s daughter) by making demands for more money. The complainant wife was forced to run away from her matrimonial home around November 2017 since she feared for safety of her health and her life. Therefore Mr. Fareed Qureshi lodged a complaint against the accused and his family members at Mahim police station in November 2017 following which the accused applied for Anticipatory Bail before the City Civil Court Mumbai. The Session’s Judge refused to grant Anticipatory Bail to the accused. The accused husband then appealed in Bombay High Court after the rejection of his application for anticipatory bail. The first hearing of the accused husband’s ABA was before Hon’ble Justice A.M.Badar. While arguing on behalf of accused, Adv. Satish Manshinde submitted that the complainant wife was having an affair with other man which was the reason for matrimonial dispute and that a false case had been lodged against the husband. Based on this submission and statement on affidavit filed earlier by the husband, Justice Badar granted interim bail to the accused husband on 30.11.2017. Realising that the accused husband had managed to get the interim bail based on affidavit containing false averments, Mr. Fareed Qureshi filed an application under Section 340 of Code of Criminal Procedure being Criminal Application no. 728 of 2017 before the Bombay High Court, for taking action against the accused for the perjury committed. While arguing the case, Mr. Nilesh Ojha, Advocate for the applicant pointed out to the Hon’ble Court that there is sharp rise in tendency to file a false affidavit before the court to obtain favourable orders, as the mischievous litigants are confident that no action would be taken against them; reason for such belief being the aversion and reluctance of the court in cases of filing false affidavits. Adv. Ojha relied on various judgments of the Hon’ble Supreme Court which included the recent judgment in the case of Asaram Bapu, where the Apex Court had not only rejected the bail of Asaram Bapu but also launched prosecution against him for filing false affidavit before the Supreme Court. He also pointed out that the allegations made by accused against his wife were falsified by the enquiry report filed by the police, wherein the Investigation Officer has clearly stated that the accused was lying about the alleged affair of the complainant wife with some other man. When Mr. Satish Maneshinde tried to intervene, Mr. Nilesh Ojha strongly objected stating that the former cannot participate in the enquiry for his client as the accused has no locus in the proceeding u/s 340 of the Criminal Procedure Code. To buttress his argument, Adv. Ojha relied on the recent judgment in Union of India vs. Haresh Milani MANU/MH/0804/2017, which is a reported judgment wherein Adv. Ojha himself has represented Mr. Haresh Milani. “The guidelines of Supreme Court as followed in Sanjeev Mittal’s case 2011 RCR (CRI) (7) 2111 is a must at the moment. It is necessary to pen down the class of people who perpetuate illegal acts by obtaining stays and injunctions from the Courts by frivolous litigation by making false statements – one of the reasons for over-flowing of court dockets is the frivolous litigation – It has unfortunately become the order of the day, for false statements to be made in the course of judicial proceedings even on oath and attempts made to substantiate these false statements through affidavits or fabricated documents – Even if these litigants ultimately loose the lis, they become the real victors and have the last laugh. This class of people who perpetuate illegal acts by obtaining stays and injunctions from the Courts must be made to pay the sufferer not only the entire illegal gains made by them as costs to the person deprived of his right and also must be burdened with exemplary costs. Faith of people in judiciary can only be sustained if the persons on the right side of the law do not feel that even if they keep fighting for justice in the Court and ultimately win, they would turn out to be a fool since winning a case after 20 or 30 years would make wrong doer as real gainer, who had reaped the benefits for all those years. Thus, it becomes the duty of the Courts to see that such wrong doers are discouraged at every step – Despite settled legal positions, the obvious wrong doers, use one after another tier of judicial review mechanism as a gamble, knowing fully well that dice is always loaded in their favour, since even if they lose, the time gained is the real gain . The Court imposed costs of 15.1 Lakhs. 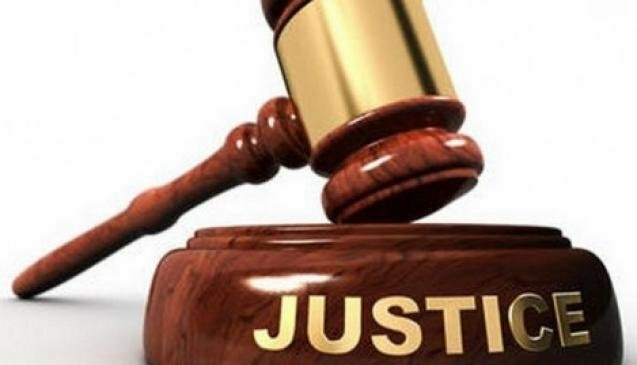 It is very necessary, at least in a few glaring cases, that an example be made of persons who are indulging in such malpractices which undermine the very administration of justice dispensation system and the working of the Courts. This will at least have a deterrent effect on others. A party, whether he is a petitioner or a respondent, or a witness, has to respect the solemnity of the proceedings in the court and he cannot play with the courts and pollute the stream of justice. It is cases like this, with false claims (or false defences) which load the courts, cause delays, consume judicial time and bring a bad name to the judicial system. This case is a sample where the facts are glaring. Even if they were not so glaring, once falsehood is apparent, no action initiated would be improper. The judicial system has a right and a duty to protect itself from such conduct by the litigants and to ensure that where such conduct has taken place, the matter is investigated and reaches its logical conclusion and depending on the finding which is returned in such proceedings, appropriate punishment is meted out. Unless the judicial system protects itself from such wrongdoing by taking cognizance, directing prosecution, and punishing those found guilty, it will be failing in its duty to render justice to the citizens. Litigation caused by false claims and defences will come to be placed before the courts and delay delivery of justice to those who are genuinely in need of it. What constitutes the offence – the first offence was of forging the document and then using it before Court in order to cause injury to the other party – two offences are separate and are to be prosecuted and tried separately – when the present petition containing false averments and relying on forged documents (which were also filed) was filed, a second offence stood committed. Hon’ble Justice A.S. Gadkari who heard the application u/s 340, accepted the submissions given by Adv. Nilesh Ojha and did not allow Adv. Satish Maneshinde to argue. Based on merits of the case, the Hon’ble Court passed the order on March 7, 2018 directing the Registrar Judicial (II) to lodge the case against the accused husband under Section 193,196,199, 200, 209 of I.P.C. Justice A.S. Gadkari also rejected the Anticipatory Bail Application of the accused. Upon this order by the Bombay High Court, the Mahim Police arrested the accused and produced him before the Additional Chief Metropolitan Magistrate Court at Bandra wherein the accused was denied bail and was remanded to the custody by the Court. Earlier Bombay High Court Division Bench 25 years before in 1992 passed similar order in Civil case against Godrej and Boyce Co. Pvt. Ltd. Vs. Union of India (1992 Cri LJ 3752). It is worthwhile to note that this is the first time in the history of Bombay High Court that an order has been passed under the provisions of section 340 of the Criminal Procedure Code directing an enquiry against the accused in anticipatory bail matter. Adv. Nilesh Ojha who appeared for the applicant was assisted by Adv. Vijay Kurle, Adv. Shweta Doshi, Adv. Ruchi Patil, Adv. Tanvi Kambli, Adv. Kruti Bhavsar, Adv. Krutika Gaikwad, Adv. Arapana Bhosale and Adv. Prafull Gavale. APP Mr. Ameet Palkar represented the State and Adv.Satish Maneshinde appeared for the accused husband. P.S. While in the present matter, Adv. Ojha has represented the complainant woman and her father, in another case, he had represented an aggrieved husband (a renowned Orthopedic surgeon from Mumbai) in launching prosecution against the wife u/s 340 of the Cr. P.C. for filing false affidavit to extract higher maintenance from the husband. Justice Abhay Okha of Bombay High Court, who heard this matter has reserved his judgment. Anticipatory Bail Application bombay High Court False Affidavits Justice Section 340 Cr.PC. Previous ArticleThe Journal for Indian Researchers’ (ISSN: 2581-3595) 1st National Online Judgement Writing Competition 2018: Register Before 22 March, 2018.